From s Secretary of State for India, London. Bated 26th received 27th April 1935. 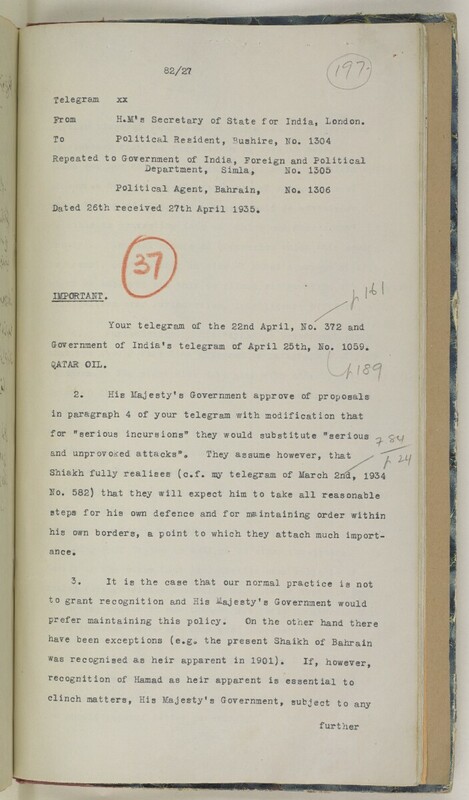 Government of India's telegram of April 25th, So. 1059.